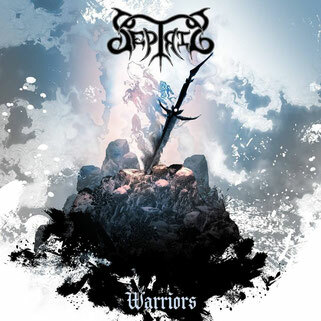 Septris is a young metal band from Switzerland, who have set out to tell stories of the bloodthirsty and epic wars that ravaged their lands. 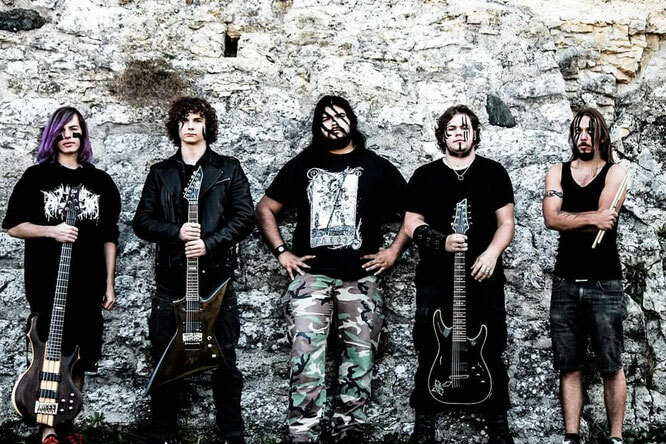 According to their bio, the band was born from the alliance of five warriors during the ancestral conflicts, and their music will plunge the listener into the middle of the battlefield, where bloody battles rage and history is written. Fueled by their love for such bands as Sabaton, Powerwolf, Iron Maiden, Amon Amarth, Septris have delivered a demo EP containing three tracks: “Blood Moon”, “The Storm” and “Warriors”. 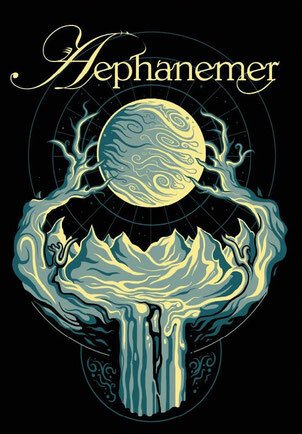 On a first listen, Septris seems to be a lighter version of Warkings, but let’s not be hasty in our judgement, since Warkings is formed by seasoned musicians who have been around the scene for some time, while Septris are just finding their metal legs to carry them forward. However, all three songs sound about the same, like war stories told around a campfire (or maybe in a tavern), because there isn’t much harshness or aggression in their sound, but they do have a certain ‘battle’ atmosphere, mainly due to the lyrics and the sing-along choruses. Opener “Blood Moon” is a straightforward rockish track, with a rather ominous feel to it, especially at the beginning, but the two guitars could make a bit more noise and the vocals could also be more menacing. Second track, “The Storm”, picks up the pace with heavier guitar riffs, but overall it ebbs and flows, not quite reaching its potential, tough it has a rather good guitar solo and some headbang-ish moments. Last track, “Warriors” feels like an anthem, with a nice guitar rhythm throughout, a catchy melody to it, and a great guitar solo. All in all, it feels like listening to atmospheric rock music, as the guitars could be more present throughout the music, the vocals more diverse and melodic, and the overall sound could be more up-tempo and fierce. But it’s a good starting point for Septris.